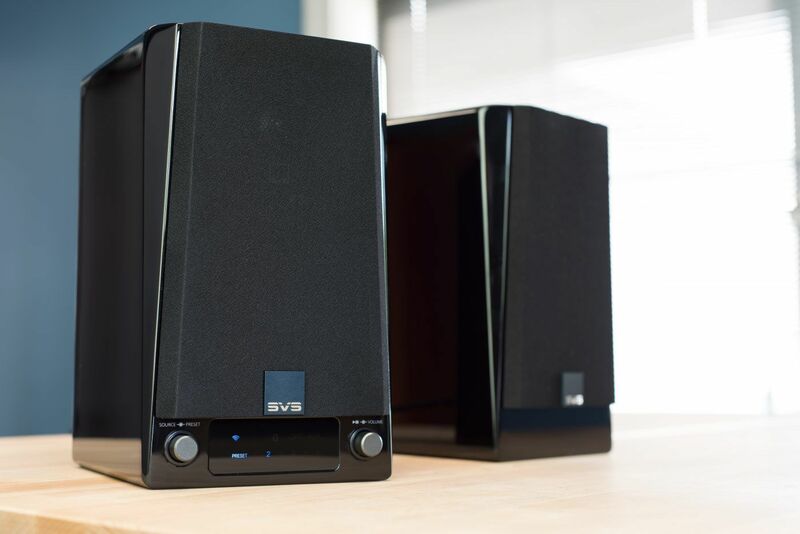 Equipped with both WiFi/Bluetooth connectivity and smartphone/device control, the SVS Prime Wireless Speaker System is a high quality smart active/passive speaker pair that offers dynamic full-range sound and true stereo separation from online music services and local sources. Control is via the DTS Play-Fi app, direct over WiFi from preset via the front panel display or through Amazon Alexa. In addition, optical and line level inputs allow the Prime Wireless system to boost the audio experience of PC/NAS based music files, TVs and gaming consoles. The Prime Wireless SoundBase is a wireless bridge that adds high-resolution wireless audio streaming, future-facing connectivity and smart speaker control to existing loudspeakers and systems.